The vast majority of our products are 'cold formed' that is the method of manufacturing used: basically your part starts life as a section of Stainless wire forced into a die and then compressed to 'form' the product, no heat is used, just immense pressure. This method compresses the molecules thus making a part of a greater molecular density. Greater density = Greater ultimate strength of the finished product. They are then thread rolled (a method of producing threads without cutting into the actual shank)which again keeps the structural integrity and strength. 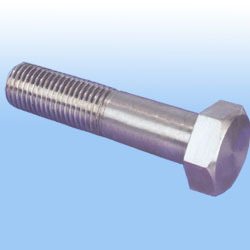 Parts that are turned on a lathe from bar in its raw format can not offer this strength or density (usually ss 303/A1 because it is free machining). If you care to check our important links section there is one giving the tensile strength of Stainless steel that is 'cold formed'. We also feature a section under the same important links that gives you the chemical composition of the Stainless used so you can ascertain the likelihood of corrosion resistance. 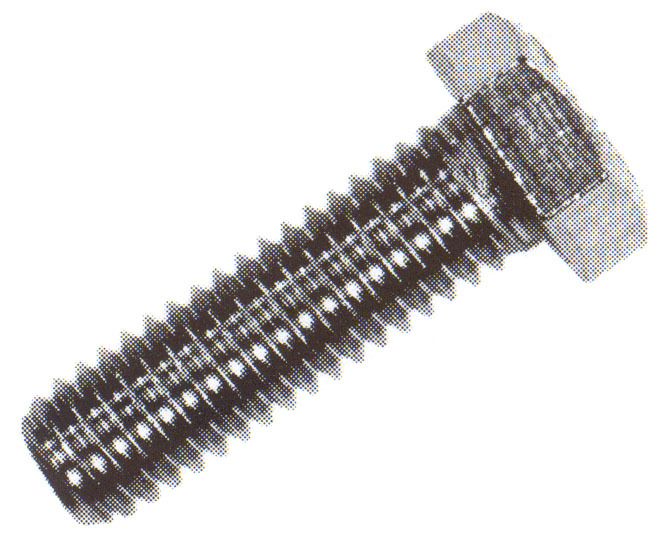 A2-70 (the vast majority of our fasteners)shows the typical strength of 700 N/mm or 45 ton/in min(2). Proof load same figures. This applies to Cold formed, thread rolled product. This information is offered for guidance only. If unsure please either contact us or take independent guidance.